Another bling Retriever? Is this a trend now? Novak Dritus weighed his options carefully. A bling Retriever has less yield, tank, and cargo than a Mackinaw, but is more expensive. Novak concluded that this was the way to go. But Agent Galaxy Pig was not so sure. Scratch two more ORE Strip Miners. If there's one constant in EVE, it's that the Code always wins. If there are two constants, it's that Anti-Ganking always fails. 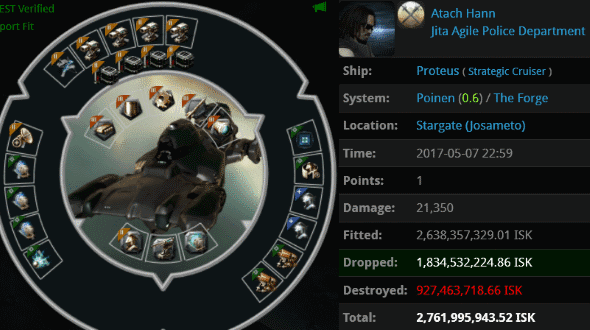 Atach Hann was set up for a big fall when his 2.7 billion isk Proteus was lured into the field of battle, only to be blapped by Agents Underpaid Ship Mechanic, Tax Collector Max, Tax Collector BokChoy, Tax Collector Hill, Tax Collector KarlMarx, Tax Collector Aruka, Tax Collector Stroheim, Tax Collector Richard, Tax Collector HongMei, and Taxman Daniel. Atach Hann soon found himself losing another Proteus when he was tricked into attacking Australian Excellence's suspect hauling ship--just before Australian used a Bowhead to grab a combat ship. Anti-Gankers get ganked more often that they prevent ganks. Maybe they should call themselves "Pro-Ganking"? 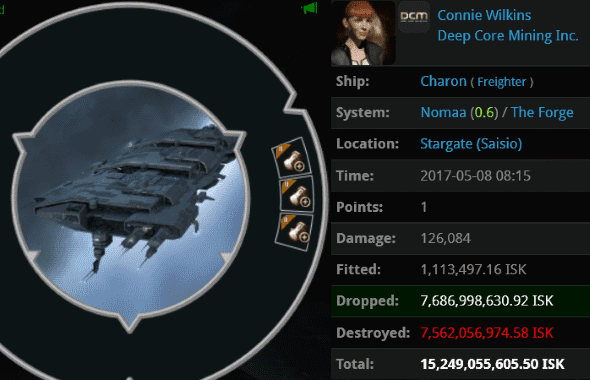 Connie Wilkins loaded up a 15.2 billion isk freighter and lost it to gankers. But she can at least take some satisfaction in the knowledge that the means by which she was ganked was somewhat unusual: Her ship was taken down by a group of heavily-armed Tornadoes and Taloses from the Gate Tax Collection Agency: Agents Tax Collector BokChoy, Tax Collector KarlMarx, Taxman Daniel, Australian Excellence, Pod Destroyer Molly, Tax Collector Kittens, Luna Nightblood, Tax Collector Richard, Ralliana, Tax Collector Stroheim, Underpaid Ship Mechanic, Tax Collector Max, and Tax Collector Hill. Tech III ships are designed to be incredibly versatile. They can be configured in all sorts of different ways. Leknaat 99 devised an extraordinarily specialized Proteus fit that was perfectly tailored for one thing: Being dunked. Agents Joel Kusion, Jake Kusion, Justin Kusion, Jayson Kusion, Jayden Kusion, Jeremiah Kusion, Jackson Kusion, Joseph Kusion, Johnathan Kusion, Jason Kusion, and Joshua Kusion rallied to the defense of Uedama and dunked the Proteus. On the surface, Sativa X's Hulk doesn't appear to be special in any way. We must take a closer look. Agent Arden Elenduil killed the Hulk using a hauler, and he went on to pop Sativa's 820 million isk pod. How was this accomplished? Can-flipping! Yes, Sativa was actually jetcan mining and used her drones to attack Arden after he scooped her ore. Arden's hauler retaliated with drones of its own, which, being deployed for the sake of the Code, naturally triumphed. A wave of nostalgia no doubt washes over the veteran can-flippers among us. Shisarah didn't know it, but she was making herself conspicuous by autopiloting in a shuttle. Needless to say, Agent Aaaarrgg noticed her. 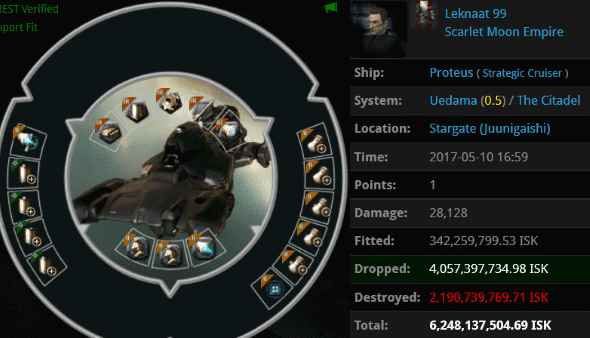 After a recent lull, a pod worth 2.2 billion isk brings back the Pod of the Week feature. Seems as though Shisarah fancied herself quite the gunslinger. But trust me--the best combat pilots in EVE are all in the New Order. He recent resubbed, was ganked by me, bought a permit from me, and then was advised not to use a Hulk. It was a major red flag when he replied, "I am fine with the Hulk EHP as long as I follow code and do not mine all day, don't afk and put a tank on it. Even if the tank is not up to someones standards." Hulk mining is indeed a major red flag. I was recently forced to terminate one of my own permit holders after he mined excessively in a Hulk. Like Sativa X, the miner chose to argue in local, whilst continuing to take more ore than he needed. He even admitted to being tired and in need of sleep, but could not overcome his chronic addiction to James 315’s asteroids. Dispatching one’s own beloved permit holder is never nice, however a quick and decisive blow is often the kindest way to deal with a miner who is beyond any hope of help - and is far kinder than allowing them to go on suffering. woah. antigankers are failing so hard right now. the salt from losing not one but TWO proteus's hahahahaha. "A wave of nostalgia no doubt washes over the veteran can-flippers among us." Stop it, I'm gettin misty. seems these guys only know how to gank with 10 to 14 ships at a time. Guessing one ship wouldn't be able to gank in a 1 v 1 huh. Only flaw you guys have is that concord doesn't pop your ship and pod when you do exactly that. There's a reason this game will never show on launcher 40 to 50k plus players. Continue to fund this game though I appreciate it! miner, Calm down and check zkillboard regarding the debunking of your fake news. 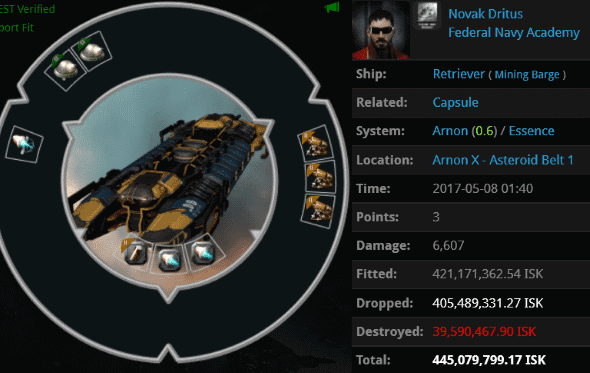 The reason we use more than one ship is indeed in hisec mechanics - we require more than a single boat to make a gank work, and/or sometimes it is also more economic to use multiple cheaper ships. So why would that be a bad thing? Do you always helplessly flail mission runners who do not run all their 'L4 Blockades' in frigates? "Guessing one frig wouldn't be able to tank L4 Blockade, huh". Sounds smart, eh? Gankers usually know how to play the game and thus bring appropriate force. "Bringing appropriate means to achieve a goal" sounds pretty much like EVE to me. Anon246 is using arguments from 4+ years ago that have already been proven wrong. Willfully ignorant is worse than just ignorant. He has put effort into being ignorant. 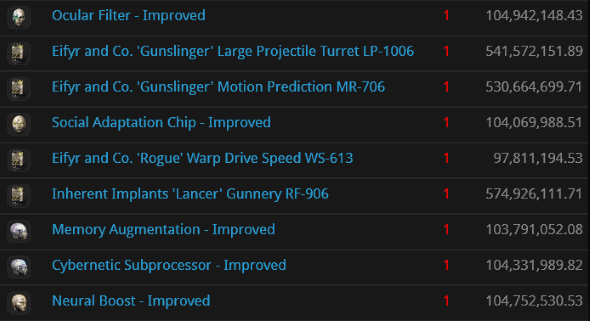 You should go check out the hisec militia blog that no one reads. No it didn't. Please describe in detail the content that minerbumping lost (please note that there is no further need to use the word content in this description I am asking for). How has Minerbumping lost it's content? Can you not see the daily content that has been posted here since 2012? What makes you think anything other than James has taken out the trash? Do you ag idiots try to be that stupid or is it genetic? More specifically, minerbumping has lost most of its low-value anonymous commentary and the instant gratification of posting. For anonymous detractors, this may have comprised the entirety of their content XD. For the rest of the audience, the articles remain top notch, and moderation just means we put more effort into the comments we do write. Thank you Saviour for devoting a significant fraction of your free time to moderation. You lost content when you decided to censor the comments section. Now theres no good fights funny quarrels, funny statements and you can never rove that you won out against those comments about you guys being Nazis. All you did was nerf your blog and claim victory you never actually won against the comments, you just sperged at them. Now your sperging a simply sentence fragment which was made to poke fun at you saying you bring content to the game. Now they have got you again claiming you didn't like the content they brought and nerfed your site to be more to your liking, just like you complain saying the carebears nerf the game how they like. You have done what they wanted, face it they got you on here, and for all your cries of victory they know they got you. The only one who got to anyone was James getting to you! And there you go yet another rage comment, that's another loss. Anon 416 Stop using genetics as a reason people are stupid, your need to re word your comments, what you say in this comments section is actively hurting the cause of the New Order. Do these code guys really understand that nerfing their own blog makes them worse than carebears. What ignorance and hypocrisy. Tell us where the words touched you. 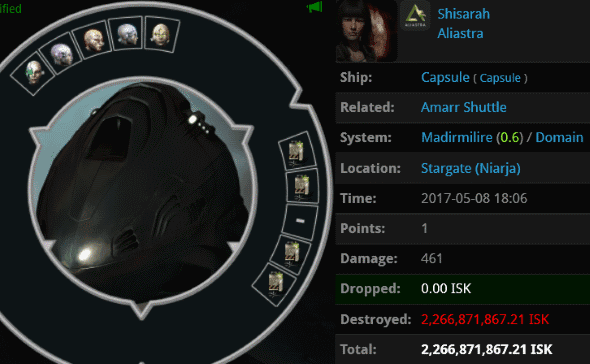 You got some very beautiful killmails. Thumbs up! Absolutely no reason to use cargo expanders (or a Proteus) to haul 50 m³ of rigs or using ORE Strip Miners on a Retriever.